Ranchi is the capital city located in Jharkhand. Institutes with national importance and research centers of excellence are located in Ranchi. Colleges in the Ranchi provide education in various streams such as Engineering, arts and social science, law, commerce, medical science, journalism etc. Necessary steps have been taken by the state government to improve the education system of the state as well as of Ranchi. Colleges in Ranchi offer wide range of courses such as Undergraduate, Postgraduate and PhD levels in the field of Science, Medicine, Engineering and Commerce. Apart from regular courses specialized and conventional courses are also offered by the colleges in Ranchi. Some of the important educational institutes in Ranchi are Alice Institute of Technology, Birla Institute of Technology Ranchi, Cambridge Institute of Technology, Chotanagpur Law College, Indian Institute of Science & Management, NIFFT Ranchi, Rajendra Medical College and Hospital, Satyendra Narayan Sinha Institute of Business Management, Suryamukhi Dinesh Ayurved Medical College & Hospital. Get connected to different colleges in Ranchi which is just a click away. StudyguideIndia will provide you the information as required by you. Information which is provided here is correct. If at all you come across any errors you are requested to kindly let us know. 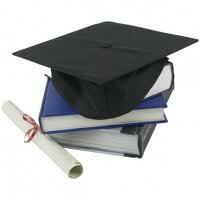 "Following are the list of Colleges in Ranchi. All Colleges in Ranchi are divided location wise. We have even listed Colleges in Ranchi as per alphabetical order making it easy to find the desired college and information on it. If you come across any College in Ranchi which is not found in our list below, please do let us know by using add in list which is default in our website”.